Online resources, promotional materials, and more! Lead your church or group on a life-changing journey to rediscover God’s master plan. 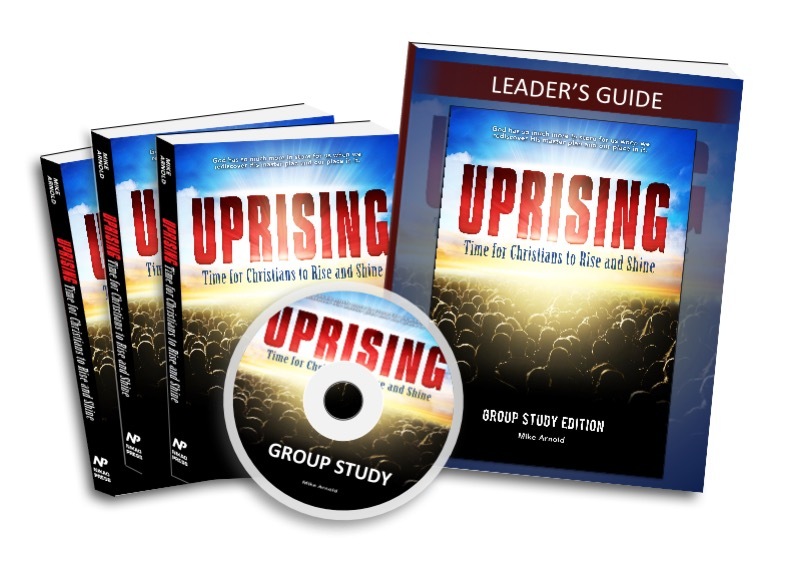 Grounded in Scripture, the UPRISING Group Study is a transformative spiritual growth experience that anchors Christians of all ages in their remarkable identity, purpose and destiny in Christ, and builds them up in greater unity, passion, hope and energy. The Group Study Edition of the book includes the entire book, with the Group Study Curriculum integrated in the proper places. It is retail priced the same as the Standard Paperback Edition, $19.99 each. Kit includes: Group Study Edition books for all participants PLUS full access to free digital resources available on this site – videos, Leader’s Guide ebook, promotional materials, etc. GROUPS OF 10-24 — Get a 10% discount (only $17.99 per participant), for a savings of up to $48. FREE BONUS: Get the printed Leader’s Guide and a DVD with all the videos — a $39 value! GROUPS OF 25-49 — Get a 15% discount (only $16.99 per participant), for a savings of up to $147. GROUPS OF 50-99 — Get a 20% discount (only $15.99 per participant), for a savings of up to $396. GROUPS OF 100-199 — Get a 25% discount (only $14.99 per participant), for a savings of up to $995. GROUPS OF 200+ — Get a full 30% discount (only $13.99 per participant), for a savings of well over $1200. The Group Study kit includes video introductions like this for each of the 12 sections, for more than an hour of video teaching. Over the years, we found that virtually every pastor or ministry leader who read UPRISING wanted to share the message, and so they’d turn around and buy a dozen or more copies to give away. Problem is, when you give away books, they usually sit on desks collecting dust! That’s why we developed the Group Study Edition. Instead of handing someone a book, now you can invite them to join you in reading and discussing it. If you think the book is powerful, wait till you study it together with your group. The impact you’ll experience is simply amazing!